The USA is a vast and diverse place and getting your travel plans right can make all the difference to your holiday. With so much to see and such a large area to cover, it's worth thinking carefully about which route to take. Whether it’s the rural villages of New England or the ranches of the Deep South that draw you here, we can advise on the logistics of getting around and how to combine some of the country's highlights. Our itinerary ideas are the product of extensive travel in the USA and are routes that work particularly well. These itineraries are designed to give you some suggestions for what is possible when you travel in the USA, and they showcase some of the routes that we’ve found work particularly well. Treat them simply as inspiration, because your trip will be created uniquely for you by one of our specialists based on your particular tastes and interests. Visit four national parks, including the more remote North Rim of the Grand Canyon. Marvel at the distinct rock formations in Monument Valley and the ancient Pueblo dwellings of Mesa Verde National Park. View giant cacti in Saguaro National Park. Hike the scenic trails in Zion National Park. Experience the glitz and glamour of Las Vegas. Admire the cacti-studded scenery of southern Arizona, exploring Saguaro National Park. Enjoy scenic drives through forests, deserts and mountains. Learn all about the Ancestral Puebloan tribes with visits to their ancient cliff dwellings. Discover the region's Spanish heritage in Santa Fe and visit old mining towns. Explore Williamsburg's historic colonial buildings and perhaps enjoy an al fresco lunch in Merchants Square. Discover the history of quaint historic towns such as Charlottesville and Annapolis. Drive the stunning Skyline Drive through the lush forest scenery of Shenandoah National Park. Relax on the beautiful beaches of Virginia Beach. Visit the White House, Capitol Building and national museums in Washington D.C. Explore the beautiful, cultural city of Boston. Taste classic New England dishes on a culinary walking tour. Discover the picturesque coastal town of Kennebunkport. Take in the serene natural beauty of Acadia National Park. Ride out along the trails and learn about the cowboy way of life on a Texan ranch. Taste the state's culinary speciality, the Texas barbecue. Visit San Antonio's famous Alamo, a shrine of Texan independence. Enjoy live music at its best in the state capital, Austin. Sample cowboy culture at Fort Worth's historic Stockyards district. Soak up the scenery of Shenandoah and Great Smoky Mountains National Parks on ranger-led walks. Look out for black bears in Shenandoah and salamanders in the Great Smoky Mountains. Drive along the Skyline Drive and Blue Ridge Parkway scenic highways, stopping to explore towns and villages en route. Visit Washington D.C.'s iconic monuments, memorials, museums and galleries. Wander the streets of Nashville, lined with music venues that you can enjoy any time of the day. Immerse yourself in US Civil Rights history in Memphis at the moving National Civil Rights Museum at the Lorraine Motel. Explore the grand antebellum homes and plantation mansions along the Mississippi. Delve into the culinary history of New Orleans, learning how to cook gumbo and jambalaya. Visit the historic battle site at Gettysburg. Experience the wonderful colonial heritage of Williamsburg. Tour the monuments and memorials of Washington D.C.
Drive along the magnificently scenic Skyland Drive in Shenandoah National Park. Experience the thundering cascades of Niagara Falls by boat or helicopter. Go walking or canoeing in the Adirondack Mountains, looking out for moose, beavers and coyotes. Sample wines from the beautiful vineyards of the Finger Lakes region. 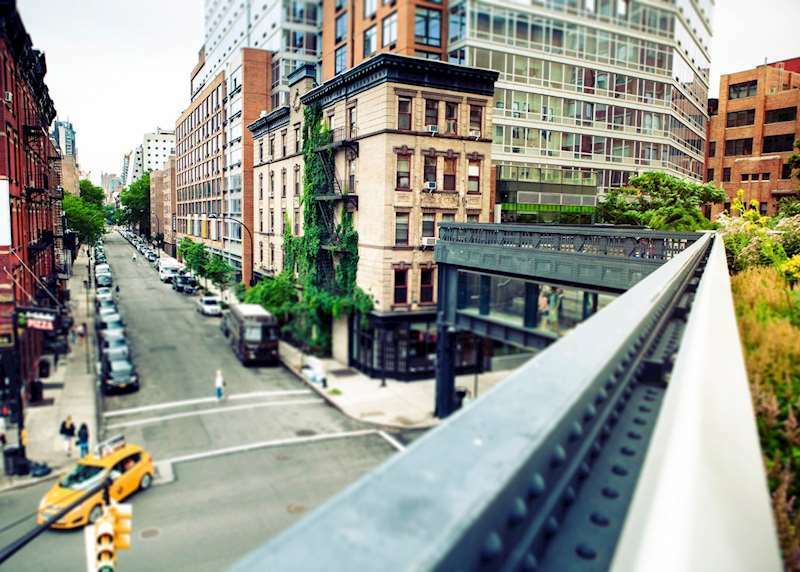 Enjoy the multitude of shopping, sightseeing and dining options in New York City. Tour the cobblestone streets of Boston's North End. Take the Cog Railway to the summit of Mount Washington in New Hampshire's White Mountains. Soak up the culture of the Berkshires in Stockbridge. Board the 'Hornblower' boat to explore magnificent Niagara Falls. Explore the magnificent scenery of Great Smoky Mountains National Park. Sample bourbon and go horse racing in Kentucky. Discover the rich country music heritage of Nashville. Learn about the South's fascinating, and turbulent, Civil Rights heritage. Explore the foothills of the Rocky Mountains outside of Denver. Visit the authentic mountain town of Breckenridge. Enjoy a white water rafting adventure on the Roaring Fork River outside of Aspen. 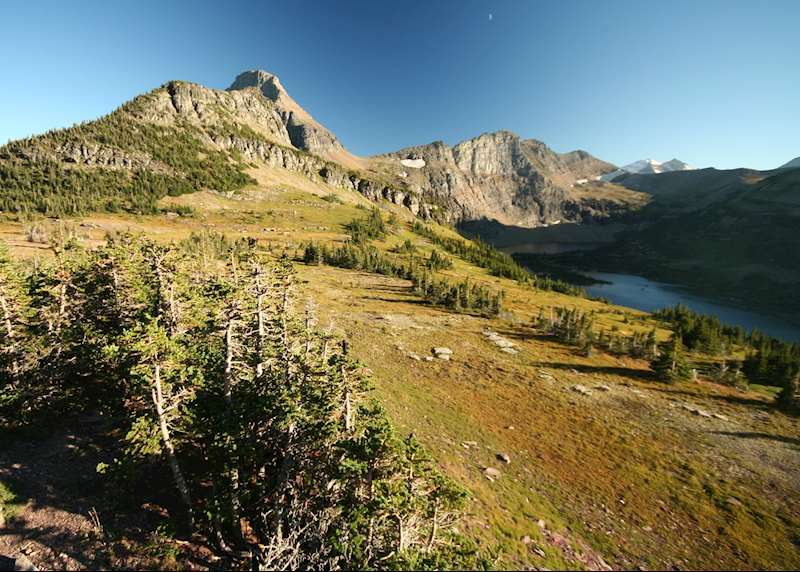 See wildlife such as moose and elk in Rocky Mountain National Park. Enjoy the hustle and bustle of Pike's Place Market in Seattle. Walk the trails and explore the waterfalls around Hood River and Cascade Locks. Explore the glamour of Hollywood and chic Beverly Hills in Los Angeles. 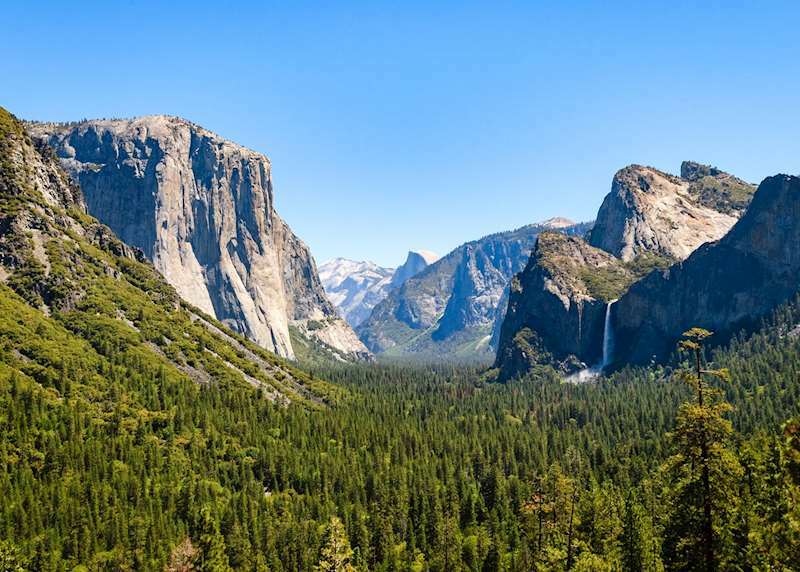 Follow walking trails and see incredible geological formations in California and Arizona’s national parks. Drive the iconic Pacific Coast Highway for dramatic views over the ocean and rugged coastline. Soak up the electric atmosphere of Las Vegas. Visit the rejuvenated cities of Detroit and Minneapolis - St. Paul. Explore the enormous sand dunes at Sleeping Bear Dunes National Lakeshore. Go walking and cycling in car-free Mackinac Island. Relish the tranquility and thriving wildlife in Isle Royale National Park. Discover Wisconsin's pretty Apostle Islands. Experience traditional southern charm in Charleston and Savannah. Visit Cape Canaveral and the 'Space Coast'. Explore Miami's Art Deco heritage. Take an airboat ride through the Everglades. Snorkel the turquoise waters of the Florida Keys. Explore Maui's white sand beaches. Experience the intense heat and vigour of Kilauea Volcano. Snorkel with sea turtles, whales and dolphins. Between January and March you can also take a boat trip on the Pacific Ocean to see majestic humpback whales at sunrise. Stroll through the streets of Charleston with an expert guide and get local insights into the city’s rich history. Visit a number of historical plantations set upon the Ashley River, just a short drive from Charleston. Enjoy typical Southern traditions at Montage Palmetto Bluff and sample fire-roasted S’mores, homemade sweet tea and slow-simmered shrimp and grits. Bask in the Carolina sunshine on Hilton Head Island. Visit the magnificent Mount Rushmore National Memorial. Marvel at the power of the geysers and look for wildlife in Yellowstone National Park. Discover the beauty of Grand Teton National Park on a guided trip. Explore charming Western towns such as Sheridan, Cody and Jackson. 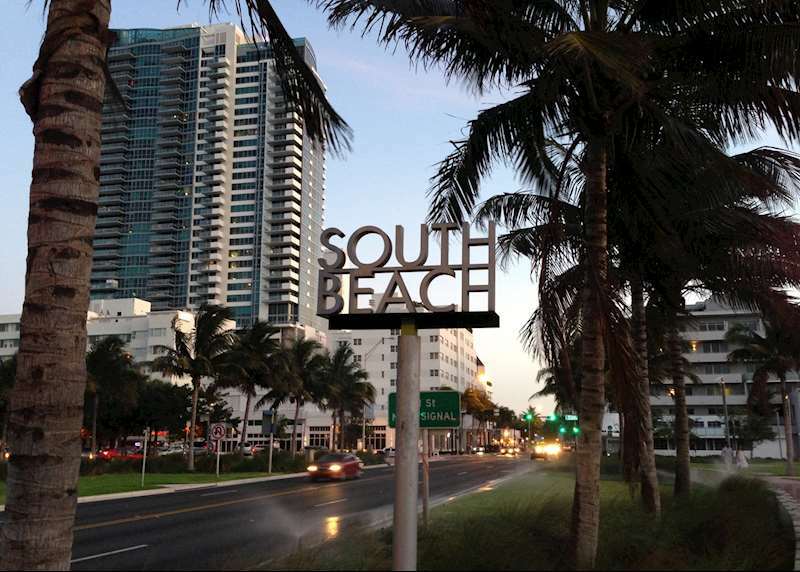 Experience the vibrancy of Miami's South Beach. Explore the literary history of Key West. Explore exciting Little Havana in Miami by bike. Relax on white sand beaches. Delve into the fascinating history of Mesa Verde National Park. Explore the mountain city of Denver. Go white water rafting or explore Arches National Park by 4x4 from Moab. Breathe in the pure air of Colorado's Rocky Mountains. 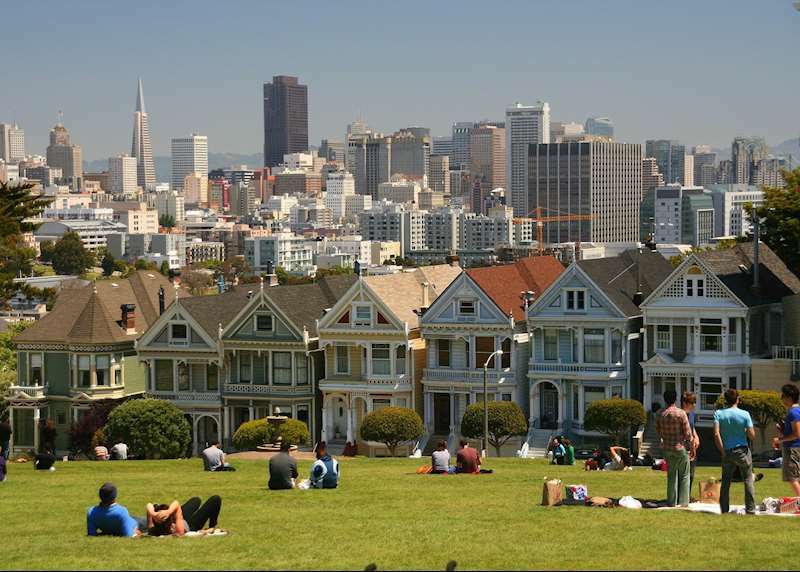 Explore beautiful, cosmopolitan San Francisco. Go wine tasting in the Sonoma Valley. Go hiking at Mount Shasta. Discover the beauty and tranquility of Crater Lake National Park. See the enormous redwood trees in Redwood National Park. Stay in the cosmopolitan city of Salt Lake City, discovering the Great Salt Lake itself and visiting the enormous Mormon temple. 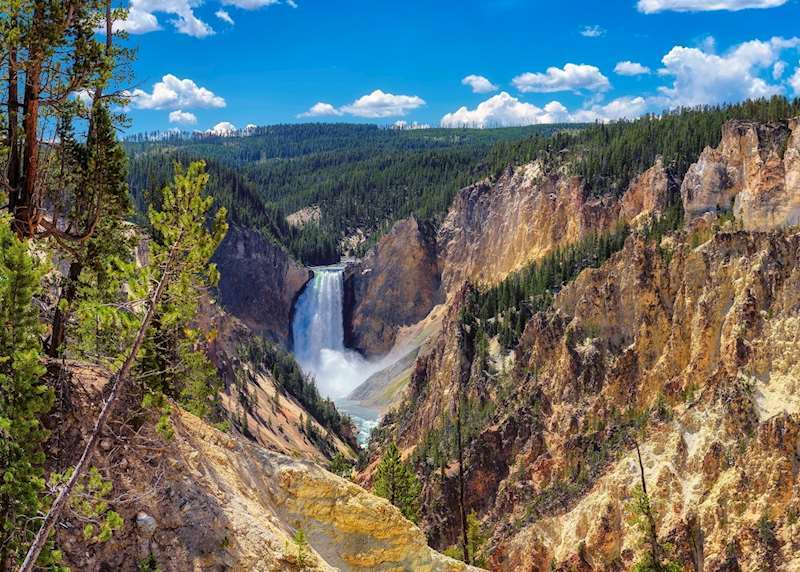 Explore the geothermal wonderland and wildlife of Yellowstone and Grand Teton National Parks. Discover the history of the Ancestral Pueblo Indians in Mesa Verde National Park. Explore South Dakota's amazing Mount Rushmore and Crazy Horse national monuments. Visit the magnificent red rock mountains of Monument Valley and Zion National Park. Admire the beaches, architecture and night life of Chicago. Marvel at the epic scenery of the Grand Canyon. Enjoy a hike through the beautiful Petrified Forest National Park. Experience the excitement and bright lights of Las Vegas. Soak up the atmosphere, relax on the beach or go shopping in Los Angeles. Includes international flights with British Airways in World Traveller Plus on the way to the USA and in Club World, with a flatbed, on the overnight return. Explore the beautiful cities of San Francisco, Portland and Seattle. Drive along the scenic coastal highways of California and Oregon. See magnificent giant redwood trees in northern California. At low tide walk to Haystack Rock at Oregon's Cannon Beach. Hike around the temperate rainforests looking for wildlife in Olympic National Park. Taste the many Cajun and Creole culinary delights on a hands on cooking class. Tour Memphis is style, in a vintage 1960's car. Enjoy the musical birth places of Country, Blues, Jazz and Rock n' Roll. Explore the Museum of Modern Art after hours in a totally private experience. Take in the history and culture of Boston. Scale the Cog Railway in New Hampshire's White Mountains. Sail out into the Newport harbour in an authentic America’s Cup yacht. Relax on the pristine beaches of Chatham, Cape Cod. Includes international flights with British Airways in World Traveller Plus outbound to New York and in Club World, with a flatbed, return from Boston. Enjoy the art deco architecture and exciting atmosphere of Miami Beach before flying to Antigua’s stunning coastline and colonial history for a relaxing week at a luxurious beach resort. Florida is blessed with both an Atlantic and a Gulf of Mexico coast, and there are a number of self-driving routes throughout the state that combine coastal highlights with some of the region’s most recognisable attractions inland. USA specialist, David, drove across the Florida Keys on his recent trip to the USA. 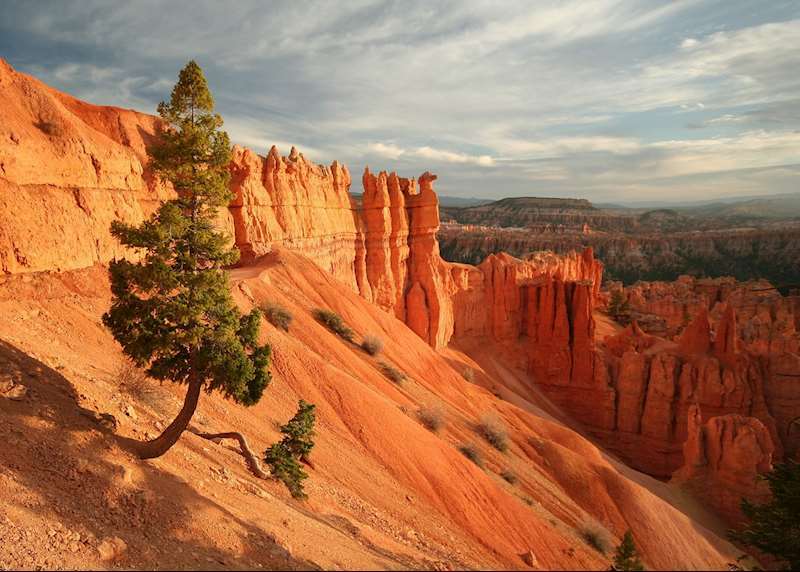 The USA's southwest region is home to some of the most iconic national parks in the country. 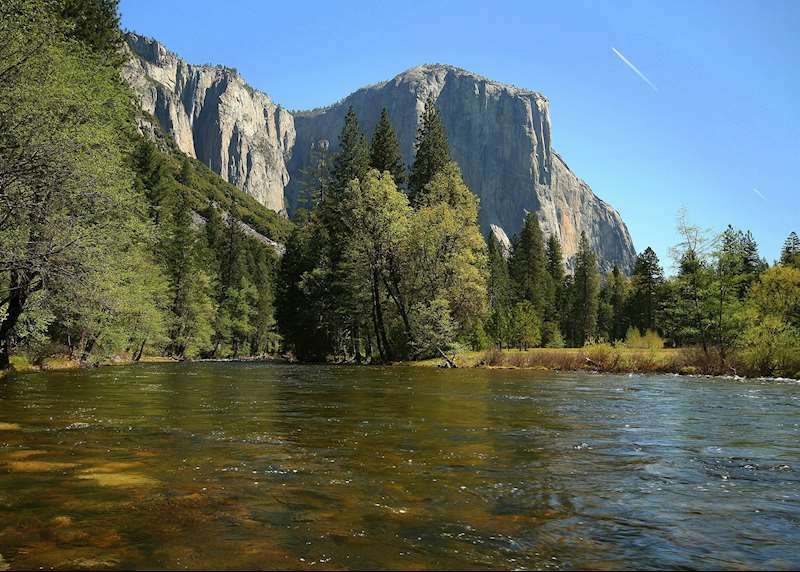 Experience the visceral beauty of waterfalls cascading over the granite cliffs of Yosemite, the sun baked red-earthed canyons of Zion, or the mighty sequoia trees of Redwoods National Park on a walking trip. The Rockies boast many national parks with glaciers, geysers and abundant wildlife. Take advantage of the wealth of outdoor activities on offer, admire the magnificent mountain ranges or experience a working ranch. We can help you make the most of this beautiful region. 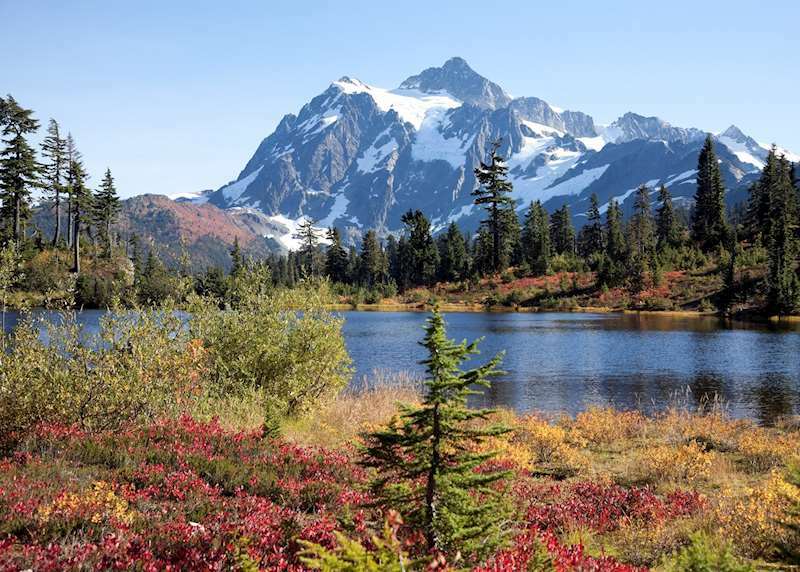 If you'd like to organise a tailor-made trip to the Pacific Northwest you'll be spoilt for choice when it comes to the incredible array of wildlife, wilderness and natural wonders, including a guided tour of the infamous Mount St Helens. 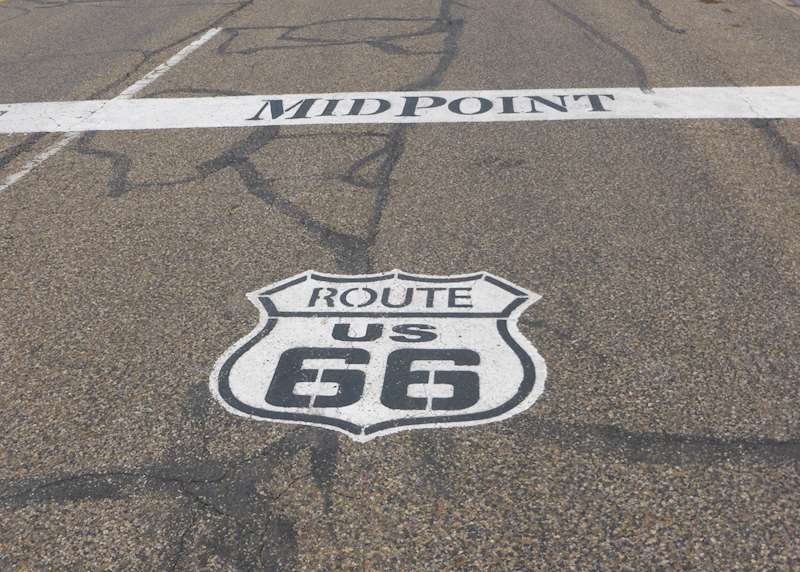 Known as the ‘Mother Road’, Route 66 helped open up America and shape its identity. Whether you choose to drive the whole route or just part of it, your road trip will showcase the country’s culture, history and landscapes.